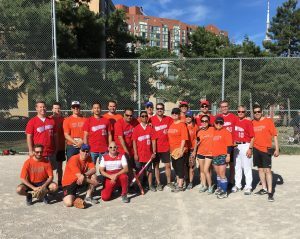 Stonebridge started off the 2018 softball season with a client friendly game last Thursday against McCarthy Tetrault. A fun event with lots of laughs and memorable moments. The post-game analysis was held at a nearby patio where both teams discussed their on-field play and off field pains.